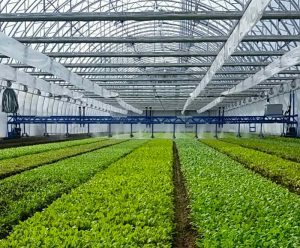 Inside look at Agbotic Farms’ greenhouse. Students at the University’s dining centers may have noticed a fresh, new item on the salad bars: baby radishes and beet greens. The produce is sourced from Agbotic Farms, a local farm an hour north of campus in Sackets Harbor, New York. Purchasing from Agbotic Farms allows the University the ability to offer students fresh, locally grown produce year-round—difficult to achieve in the Northeast. Earlier this year, the Food Studies Program in Falk College worked with the Adirondack North Country Association, a nonprofit that connects university and K-12 institutions with local farms, to bring to campus Kevin Richardson, Agbotic Farms executive vice president of sales and operations. Richardson met with Sustainability Management and Food Services staff, and Food Studies faculty, and a partnership was created. Food Services and Sustainability Management staff took a trip to the farm to learn more about the operation. “The Food Services team was excited to make the visit to determine if their products would be a good fit for Syracuse University,” says Mark Tewksbury, director of residential dining. The University does its best to serve locally grown produce, but that has proven to be a challenge with New York’s short growing season. Part of the review process involved learning if students liked the product. Food Services invited Agbotic Farms to share their produce at a Wednesday Feedback event at the Ernie Davis Dining Center this past February. Response to the baby greens was overwhelmingly positive. “The greens are new, fresh and a bit sweet,” remarked one of the student taste testers. What is the focus of your interests in Food Studies? What did your practicum in Food Studies entail? For my internship, I was among 85 other interns at Lettuce Entertain You Enterprises in Chicago. Each intern was placed in a different restaurant and would shadow the managers. I would attend weekly seminars with the other interns, where partners and corporate leaders discussed philosophies, values, and departments of the company. The interns also worked together in groups of 8 to create a restaurant concept project, and we presented them at the end of the internship at an expo where partners and corporate leaders judged and ranked the groups. What did you enjoy most about your experience? My favorite part of interning at Lettuce was the exposure I gained from the restaurant industry. I had many unique experiences! I had the opportunity to manage a crawfish food tent at Lettuce’s country and barbeque music festival, Windy City Smokeout. Lettuce also had a burger tent at Lollapalooza, where I was able to serve mass crowds of hungry festival attendees. How did your Food Studies classes experiences/degree/internship prepare you to work in the broad field of Food Studies? Through the food studies classes I have taken throughout college, I have found a passion for the social side of food systems. I enjoyed learning how food brings people together in a way nothing else can. The sensations from the flavors and environment are what made me realize that the restaurant industry is where I belong. What’s next for you or what are you up to now? After graduation, I would like to return to Chicago. I have an interest in working for special events and catering in the restaurant industry. Helping celebrate special life events through food is a field that I would find much joy in. 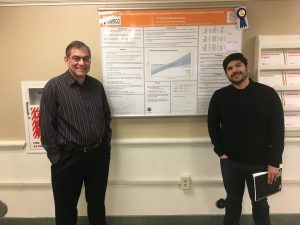 Falk students are invited to submit posters for completed or in-progress empirical, exploratory, policy analytic or hypothesis-driven research projects using qualitative, quantitative, or mixed methods for display, judging, and awards in the 2019 Falk Student Research Celebration March 26-29. The multi-day event will highlight Falk students’ research collaborations and their dedication to advancing research knowledge. Poster entry forms are due March 7 and poster submissions are due March 21. Posters will be on display beginning March 26 near the second floor student lounge and the Falk Café on 2 in the Falk Complex, with judging and awards taking place March 27. Students will present their posters from 12 to 1 p.m. on March 27 and 28. The Falk College Research Center promotes a robust, collaborative research community in which students play an active role. 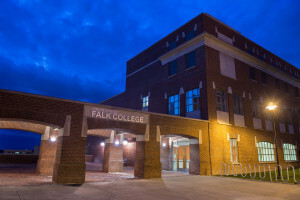 At Falk, graduate and undergraduate students have the opportunity to work directly with faculty to collect data, analyze findings and draw conclusions on relevant topics surrounding public health, food studies, nutrition, sport management, human development and family science, social work, and marriage and family therapy. Winners of the 2018 Falk Student Research Celebration, held March 27-30, 2018, included research in a wide range of topics, such as maternal health, accessibility, and PTSD. For more information about the 2019 Falk Student Research Celebration, contact Amy Dumas adumas@syr.edu at the Falk Research Center. This fall, fresh, locally-grown produce made its way to campus each week through the Community Supported Agriculture (CSA) program at Syracuse University, founded and operated by BrainFeeders, the first academically-recognized food studies student organization in the nation. By connecting the campus to local farms, BrainFeeders hopes to deliver more than just great produce to the Syracuse campus. 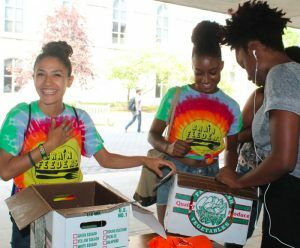 They strive to increase food access and sustainability, while encouraging peers to be more involved in food choices at Syracuse. A CSA is a partnership between farmers and community members in which individuals purchase a share of a farm’s harvest, and in turn, the farm provides shareholders with seasonal produce. Direct exchange between farmer and consumer can help make fresh produce more affordable. A standard CSA share from Common Thread Community Farm in Madison, New York feeds 2 to 3 adults and includes 8 to 10 items of produce each week. Common Thread has delivered $22,957 in shares to members of the Syracuse University and SUNY College Environmental Science and Forestry campuses since BrainFeeders created the CSA in 2015. Falk College’s food studies program explores the political economy of food. Students are challenged to critically question who has access to farmable land, how food is produced, processed and transported to restaurants and homes, who has access to nutritious food, what happens to food waste, and what these factors mean for people and the planet. A vibrant community of active student organizations brings Falk College to life, from the Nutrition Education and Promotion Association (NEPA) and the Society for Public Health Education (SOPHE), which promote health education and awareness on campus and in the community, to sport management special interest groups, such as the Sport Professionals of Color and the first collegiate chapter of WISE (Women in Sports and Events). The broader University is home to more than 300 student organizations. Members of the Syracuse University and SUNY ESF campus communities who are interested in participating in the CSA fall 2019 may email brainfeederscsa@gmail.com to add their name to the waitlist. For more information about BrainFeeders’ campus CSA, visit the Falk College website. What is/was the focus of your interests in Food Studies? If you completed an internship, what did it entail? I interned at Ophelia’s Place in Syracuse, NY as a student warrior. My internship entailed multiple interviews with experts in the field of eating disorders, disordered eating, and body dissatisfaction. I organized fundraising events to raise money and awareness for the non-profit. I also trained with the Body Project to be a certified support group facilitator for individuals interested in joining a community and connect with others through recovery. What did/do you enjoy most about your experience with the Food Studies program? I appreciate our food studies community. The professors, alumni, and current students all have a close relationship which is helpful in and outside of the classroom. The courses in Food Studies range a plethora of topics. My knowledge in many different sectors of food allows me to pursue work in various fields. My internship with Ophelia’s Place helped me solidify my career goals and influenced me to continue my studies in graduate school. I am going to be attending graduate school in New York City next year to earn my master’s degree in Public Health. My career goals are to work towards educating and implementing healthy foods in primary and secondary schools. My Internship was at the Hendricks Chapel Food Pantry. 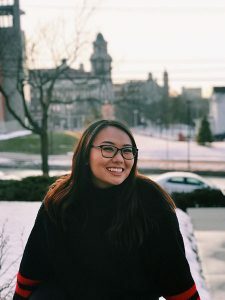 My duties were reaching out to the community inside and outside the campus to better understand food insecurity on the campus and in the community. What did/do you enjoy most about your experience? I enjoyed interacting with the community and fostering a connection to both students and community members, along with informing the public about “Free Bread Day,” an event that occurs every Thursday in the basement of Hendricks Chapel where bread and pastries from Panera would be given out for free to students. Talk about a challenging or new experience you faced during your internship, how you managed it, and what you learned as a result. My biggest challenge was trying to set up an event to raise funds for the Pantry. As I had originally suspected, it took a lot of communication and understanding from both ends to try and make it work. The internship provided me with a better sense of justice and understanding for communities and people who suffer from food insecurity. I learned that there will have to be more done to ensure that everyone can be fed other than having a food pantry available. After graduation, I’d like to see if I can get an occupation somewhere around Washington, DC, or really any major city doing something regarding sustainability, working with a non-governmental organization, working with a farm-to-fork organization, or teaching and spreading awareness about the food system and how it can better serve the citizens it’s supposed to serve. Graduate merit scholarships have been expanded for prospective students interested in matriculating into master’s degrees, either full- or part-time, offered in Falk College effective Summer 2019 (includes MAYmester Summer Session I, Summer Session II, Combined Summer Session). Incentives include no application fee, GRE waiver where applicable, and a 25 percent tuition discount incentive, which is applied after any other scholarships, scholarship credits, assistantships and remitted tuition credits are applied. Current Falk master’s program students who are Syracuse University alumni; children of current full-time Syracuse University employees are also eligible. Human Development & Family Science, M.A., M.S. Marriage and Family Therapy, M.A. Social Work, Advanced Standing Program, M.S.W. Social Work and Marriage and Family Therapy Dual Degree, M.A./M.S.W. Sport Venue & Event Management, M.S. Interested students should contact Falk Admissions, submit their application, and must formally matriculate. For more information, please contact the Falk College Office of Admissions at 315.443.5555 or email falk@syr.edu. Award is subject to change. Evan Weissman, Ph.D., assistant professor of food studies, speaks with NewsRadio 570 WSYR on the potential impact of the Tops grocery store closings. Listen to the podcast. Dr. Weissman’s research examines grassroots efforts to address food disparities in urban America. He teaches introductory and upper-division courses in food studies and employ hands-on approaches through community engagement. Dr. Weissman is a founding member and currently serves on the board of Syracuse Grows, a grassroots network that cultivates food justice through advocacy, education, and resources in support of urban food production. Falk College is pleased to announce the Falk College Merit Award Scholarship for current Syracuse University students interested in applying for a Falk College master’s degree. Incentives include no application fee, GRE waiver where applicable, and a 25% tuition discount incentive, which is applied after any other scholarships, scholarship credits, assistantships, and remitted tuition credits are applied. Interested students must contact Falk Admissions and submit their application by February 15. Successful applicants will be officially admitted by the academic department and must formally matriculate for a 2019-2020 term. 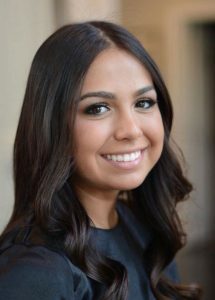 “Falk College graduate degree programs allow undergraduates of all majors to tailor and enhance their career opportunities,” says Falk College director of admissions, Felicia Otero. “For example, bachelor’s degrees in psychology and sociology pair especially well with a master’s degree in social work (MSW), marriage and family therapy (MFT), or the SWK-MFT dual program, as well as human development and family science, public health, and global health. “Falk College graduate degrees also lead to research professions and continued study in doctoral programs,” she adds. Falk Admissions will host a Graduate Information Session on Friday, November 2 in Falk Complex, White Hall, Room 335 at 4:00 p.m. In addition to review of Falk graduate programs, interested students can learn more about Falk Graduate Scholarships. For more information, please contact the Falk College Office of Admissions at 315.443.5555 or email falk@syr.edu. Falk College’s food studies program, together with the Syracuse University College of Visual and Performing Arts (VPA), Canary Lab, and the Humanities Center, partnering with Brady Farm in Syracuse, are pleased to welcome artist Seitu Jones to campus for a lecture and a workshop October 4 and 6, part of the Humanities Center’s 2018/19 Stories Symposium. Jones will give a lecture, “CREATE: Art, Act & Eat,” on October 4 in Watson Auditorium from 6:30 to 8:30 p.m. where he will discuss how he draws from both food and activism to inspire his public art projects, and how these components bring about new community stories. On October 6 from 2:00 to 4:30 p.m. at Brady Farm in Syracuse, Jones will lead a hands-on workshop connecting food stories and community art. Reservations are required for participation in the Saturday workshop. Please RSVP to Ed Morris at ehmorr01@syr.edu by October 4. Visit the Falk College website calendar for more information on the October 4 lecture or the October 6 workshop, or contact Elissa Johnson at ejohns07@syr.edu. Seitu Jones was born in Minneapolis in 1951. Working on his own or in collaboration, Jones has created over 30 large-scale public art works. 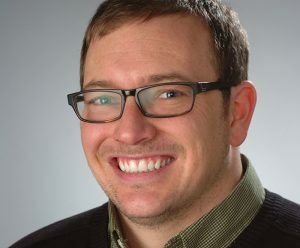 He’s been awarded a Minnesota State Arts Board Fellowship, a McKnight Visual Artist Fellowship, a Bush Artist Fellowship, a Bush Leadership Fellowship, and a National Endowment for the Arts/Theater Communication Group Designer Fellowship. Seitu was awarded a 2001-2002 Loeb Fellowship at the Harvard Graduate School of Design and was the Artist-in-Residence in the Harvard Ceramics Program. He was Millennium Artist-in-Residence for 651 Arts in Brooklyn, NY, and was the first Artist-in-Residence for the City of Minneapolis. In 2014, he integrated artwork into three stations for the new Greenline Light Rail Transit system in the Twin Cities. A 2013 Joyce Award, from Chicago’s Joyce Foundation allowed Seitu to develop CREATE: The Community Meal, a dinner for 2,000 people at a table a half a mile long. The project focused on access to healthy food. 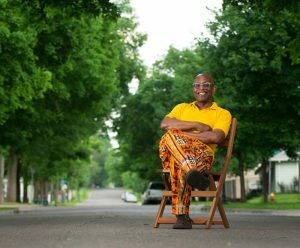 Seitu is working with members of his neighborhood to create a 5-acre farm in a new St. Paul city park. For 18 months Seitu was a Senior Fellow in Agricultural Systems in the College of Food, Agriculture and Natural Science Resources at the University of Minnesota. 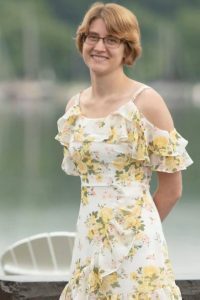 Jones received an MLS in Environmental History and a BS in Landscape Design from the University of Minnesota.